The workers and peasants in Socialist China needed to be informed and educated about the richness of the cultural past of their country. This was important to establish a national identity and autonomy in a country whose culture (in all its forms) had been disparaged by various invading, imperialist forces. 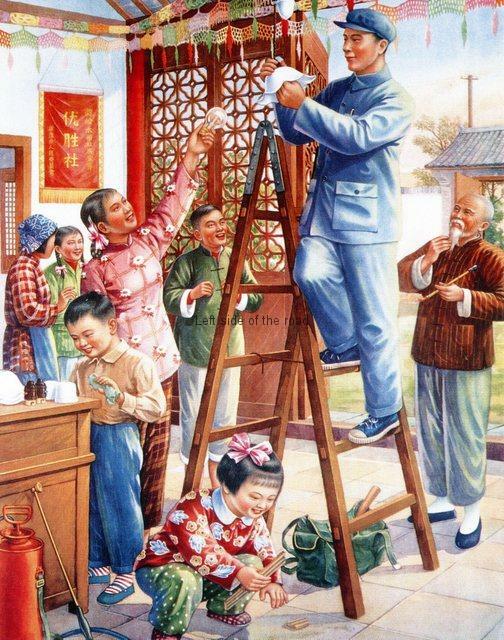 It was only with knowledge of their past that revolutionaries could then go on to criticise the class emphasis of traditional art forms and establish new, revolutionary forms, during the Cultural Revolution 1966-76. 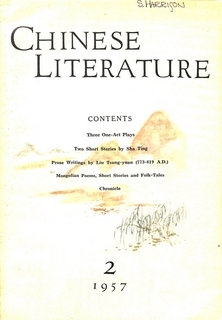 The magazine Chinese Literature, throughout the period of its publication during China’s Revolutionary Period (that had come to an end by 1978), was always a forum for the writings and art work of young worker and peasant artists. 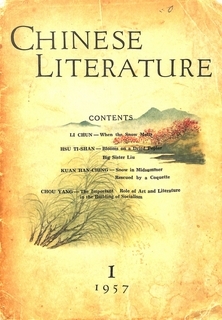 The debate about the role of literature and art in the Construction of Socialism was on-going and most editions would contain an article making a contribution to this important matter of forming the proletarian ideology.